If Nepal wants to reach middle-income status, it must include women in positions of power and influence, especially in business and politics. As this year’s celebration of 70 years of US-Nepal relations draws to a close, I am imagining what the next 70 years of our relationship will look like. We already have a strong partnership. The question is how can we take it to the next level? In the last month of 2017, I wanted to reflect on changes that can optimize Nepal’s full potential, how we can collaborate more effectively and prioritize to spur economic and social development. So I made some New Year’s resolutions to show where the US will focus its efforts to ensure greater mutual prosperity and improve our bilateral relationship. 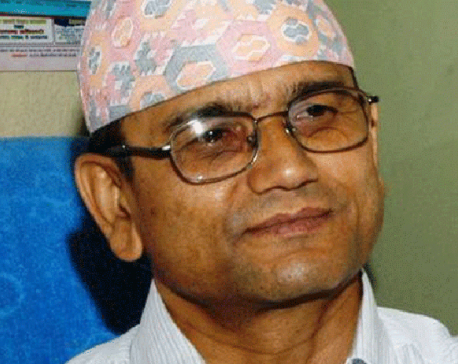 My first resolution is to help increase prosperity in Nepal. This can be accomplished by strengthening the economic ties between Nepal and the United States through increased trade and investment. The United States is already the second largest destination for Nepali exports after India. We worked to increase Nepali exports to the United States in 2017 through a new trade preferences program that grants certain products made in Nepal duty-free access to the United States. The initial returns are modest, with almost $2 million worth of goods exported in the first 10 months of this year and as more producers, exporters, and American buyers learn about this program, I expect these will increase. Increased prosperity also requires investment. I often meet with American entrepreneurs and firms who see potential in Nepal but are concerned about unclear regulations, inconsistent policies, politicized labor and a bureaucracy that moves too slowly. Nepal needs more private sector investment if it is to meet its goal of becoming a middle-income country by 2030. So I hope that in 2018, Nepal’s new Parliament passes a foreign investment bill that addresses barriers that keep investors away and that stimulates job growth. Before they do that, Nepal’s leaders should look around the region to see how other countries attract investment. For example, over 90 percent of India’s FDI goes through an automatic approval route. In the Indian state of Telangana, if government officers don’t take action on targeted categories of investments within 15 days, they are automatically approved. For Nepal to compete in a global marketplace, the draft foreign investment bill must make it easier for investors, both foreign and domestic, to do business in Nepal. Another important step for increasing prosperity is to ensure that all Nepalis can enter the workforce and excel. If Nepal wants to reach middle-income status, it must include women and all segments of society in positions of power and influence, especially in business and politics. I resolve to continue promoting women and marginalized groups so that Nepal can reach its full potential. A flagship US-Nepal endeavor is the Millennium Challenge Corporation compact signed in September—a $500 million grant to improve the availability of electricity, strengthen infrastructure and build regional connectivity. Each year MCC issues a scorecard that includes an important indicator for the control of corruption. Unfortunately, this year Nepal’s scorecard had the steepest decline in controlling corruption among peer countries. 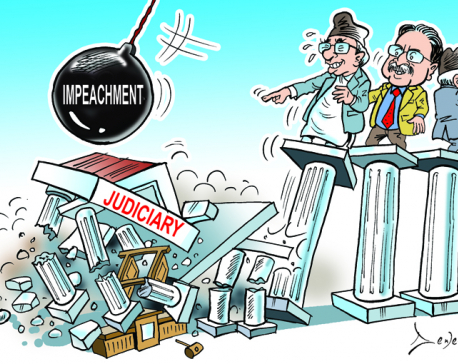 Strong anti-corruption measures, like prosecuting corrupt officials and increasing government transparency by joining the Open Government Partnership, are critical to the growth of citizen confidence in Nepal’s democracy and help to increase accountability and transparency. I resolve to continue transparency and accountability requirements in all US assistance programming and to use our assistance to bolster Nepali accountability initiatives. To realize the full potential of our partnership, development assistance in Nepal must evolve. US assistance aims to bring global best practices to help inform Nepal’s growth trajectory. Designed in full consultation with the Nepali Government, our programs fund innovative approaches to entrenched challenges. From helping slash rates of child mortality, to drastically increasing agricultural yields and farmers’ incomes, our work together has shown results. As US-funded projects demonstrate the success of new approaches, we look to the government to welcome and spread those innovations across Nepal. Establishing stronger public-private partnerships is another effective way for Nepal to fuel economic growth. I resolve to leverage US assistance to identify and model positive development approaches for Nepal. With the conclusion of national elections, now is also the time for the country to re-focus from a democratic transition toward good governance. This is a big challenge, but if government leaders take their roles seriously and the public insists on this kind of positive change, it can mean both an economic and quality of life transformation for Nepal. The United States similarly faced such an internal reckoning in the late 1800s, when a political “spoils system” meant that once a political party came into power, it rewarded its supporters with jobs, positions, and titles without the requisite skills needed for the job and little accountability for performance. It also meant the systematic and frequent replacement of officials every time the government changed party hands. In 1883, politicians recognized the high cost of this partisan, political system and changed it through the Civil Service Reform Act, to one based on competency and merit for government positions. Similar radical change is needed in Nepal today to make the government work for the people, by putting the best people into the jobs and holding them accountable to execute, plan and implement policies that benefit the entire country. I congratulate all the newly elected officials across Nepal and wish them success as the real work of governance begins. I also resolve to support the leaders and people of Nepal as they put prosperity ahead of politics and lay a sound foundation of accountable and transparent governance. Bold, early action to improve the business environment and enhance transparent and accountable government will solidify public and international confidence as the new government assumes power. 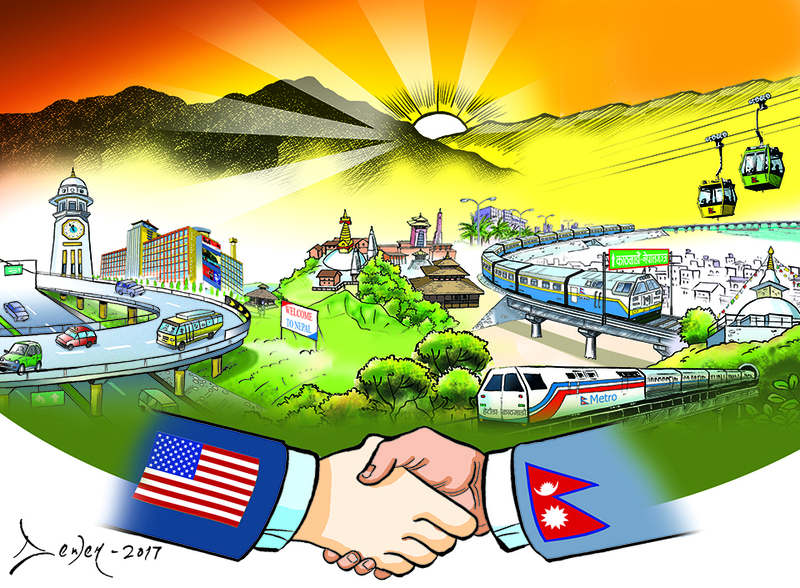 As Nepal’s next government prepares to lead the country into a new era of political stability and prosperity in early 2018, the United States resolves to increase our efforts to blend our development assistance investments with global best practices to support Nepal’s success as we commence the next 70 years in our relationship. We also commit to making the coming years ones in which our partnership deepens and finds renewed strength in the strong connections between our nations.